Over at the Nimble Cities project, I sift through some of the latest developments in bicycle infrastructure for cities, from “bicycle superhighways” to “bicycle boulevards,” that are being rolled out around the world. Further examples/concepts always welcome! Comments Off on Nimble Cities Update, Part 2. Click here to leave a comment. How many cats is a person legally allowed to let roam the inside of his or her car while they travel the country? The South Dakota Supreme Court weighed in on that very issue last week, setting the bar somewhere below 15. The state’s highest court ruled — in a case titled State of South Dakota v. Fifteen Impounded Cats — that a police officer acted correctly in August when he seized the aforementioned 15 felines from a vehicle belonging to Patricia Edwards. Justice Severson also said state laws dictating no more than three people ride in the front seat of a car lest they interfere with the driver’s view or control did not apply to cats. “Miss Edwards’ cats should be returned to her care,” he wrote. Comments Off on South Dakota v. Fifteen Impounded Cats. Click here to leave a comment. 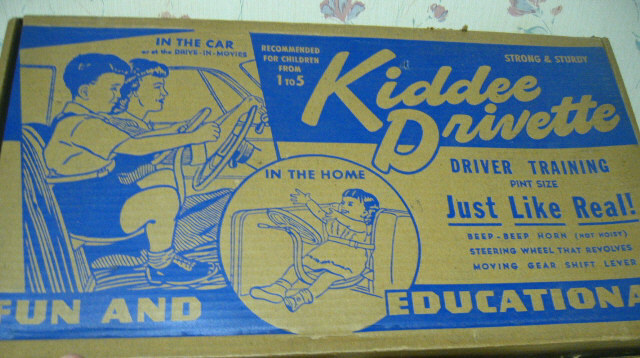 This is not to say there weren’t crude, biomechanically dubious predecessors of the modern infant car seat: Before there was the LATCH system, before there was the backseat rear-facing Snugride, before there were three-point harnesses, there was the… Kiddee Drivette! (with its ‘not noisy’ horn). Not sure about that ‘educational’ bit though. Comments Off on What Child Restraints Used to Look Like. Click here to leave a comment. Enjoying this poster, apparently via the city of Munich’s transportation department, of how much street space it takes to move the same amount of people via car, bus, and bicycle. Comments Off on German Efficiency. Click here to leave a comment. They are all around you. They influence the way you live, and the look of where you live. They cost you whether you drive or not. They are minimum parking requirements. 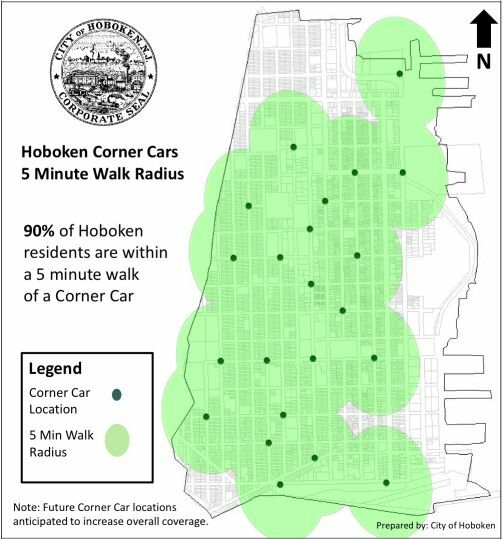 This week, over at the Nimble Cities project, I write about the idea, proposed by a number of readers, to reform or even abolish parking minimums. Relatedly, and I’m late to post this, but Paul Barter over at Reinventing Urban Transport explains that while building/zoning codes often treat parking curiously like toilets — a big necessity — there are reasons why this comparison is flawed. Comments Off on Nimble Cities, Week One: Putting Parking Under Scrutiny. Click here to leave a comment. The overwhelming sense of the book, though, is that Scotland Yard once spent a great deal of its time dealing with habitual neighborhood criminals who were, in their own way, an ancient and unsurprising part of the social fabric of city life. The police knew them well, knew which pubs and boarding houses they frequented, and so the real long-haul career criminals learned how not to push their luck too hard. At the end of his book, Savage blurts out a remarkable comment on the spiking crime rates of the 20th century. The Scotland Yard detective — who’d began back before the force even owned a single car — knew exactly whodunnit: Henry Ford. Hmm. Has anyone, I wonder, ever tried plotting crime rates in the early 20th century against car registrations among males 16 – 35? Sounds like a job for Historical Freakonomics. Another way to look at this, of course, is that police, at least in New York City, stopped living in the neighborhoods they patrolled, and in many cases they were the ones who had shifted to car-based patrols, thus distancing themselves from the community. Comments Off on Cars, Community, and Crime. Click here to leave a comment. Comments Off on Cloud Commuting, Redux. Click here to leave a comment. Last year, the city passed a bill that went into effect several months ago requiring commercial garages with space for 100 or more cars to also set aside places for bicycles. The ratio is 10 spaces for the first 100 cars. After November 11, 2011, garages with only 50 spaces will also have to allow bicycles. Sounds great. except for one thing: The law allows the market to set the going rate. My garage is charging—no joke—$175 plus 8.875% tax. That’s almost $200 a month to stow a bike! You probably won’t be surprised to hear it has no takers. As one attendant observed, “You can buy a new bike” for that amount. Well, yeah, but on some bikes that price wouldn’t cover a single pedal. But in any case, perhaps not surprisingly, there seem to be few to no takers for $200 a month bike parking. The first question that came to my mind was why it was so expensive (when presumably you could fit upwards of a dozen bikes in a standard car spot), and then, secondly, why garages would charge such a high amount if no one seemed willing to pay it. Wouldn’t it better to make half (or anything above) the theoretical profit than no profit at all? I don’t know how these garages are set up, but if parking that bike means having to have an attendant park and retrieve it for you, I suppose the garages want to make sure the transaction costs are covered — i.e., if they charged cyclists ten bucks a month but then had to send attendants in search of bikes (when they could be retrieving more lucrative cars). In other words, do they essentially charge that much to not have to deal with the aggravation of dealing with parked bikes? But maybe the attendants don’t always have to fetch bikes; aren’t there some garages where the bikes are right within view? Do the city regulations on garages having to have a certain number of spots stipulate where and in what form those spots have to be? Comments Off on The Curious Economics of Bike Parking. Click here to leave a comment. 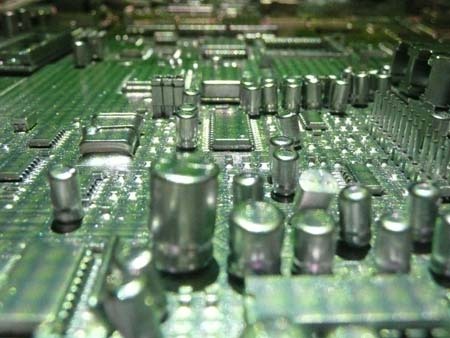 Controlling for visual factors that affect price (for example, plates with fewer digits are more sought-after) Ng’s team found that an ordinary 4-digit plate with one extra lucky ‘8’ was sold 63.5 per cent higher on average. An extra unlucky ‘4’ by contrast diminished the average 4-digit plate value by 11 per cent. These effects aren’t trivial. Replacing the ‘7’ in a standard 4-digit plate with an ‘8’ would boost its value by roughly $400. Comments Off on The Market in Lucky License Plates. Click here to leave a comment. Comments Off on Texting While Flying. Click here to leave a comment. Dear readers, I’m currently overseeing, for the next month, Slate’s second ‘Hive Mind’ project. The first was about how to live a more efficient life, personally, in energy terms; this one’s about how to make transportation in and among cities more efficient (not to mention safer, more pleasant, etc.) in the 21st century. Here’s a taste to get you started, but I urge you to submit your own ideas (and I know readers here have ’em), and vote upon those you think most worthwhile. You probably have a friend like Campbell Scott. Or, rather, the character Campbell Scott played in the 1992 film Singles. You remember: the idealistic transportation planner flummoxed by all the congestion generated by single people (caution: metaphor ahead!) driving alone. “If you had a supertrain,” he tells a friend, “you give people a reason to get out of their cars. Coffee, great music … they will park and ride. I know they will.” (To which his friend replies: “But I still love my car, though.”) This is the sort of person who waxes lyrical about things like modal splits and commutersheds; gets a wistful, thousand-yard stare as he reminisces about the 1970s personal-rapid-transit demonstration project in West Virginia (and can finger the culprits in its demise); and conspicuously vacations in places with active streetcar networks. Or maybe you are Campbell Scott. Maybe you’re the one–sitting in a Mumbai traffic jam, waiting on a tube platform in London’s Elephant and Castle station, lost between connections at Tokyo’s Narita or cycling over the Willamette River–who, in a moment of pique or boredom or inspiration, suddenly envisions a better way of managing the commute. Perhaps it’s a sweeping, inefficiency-killing overhaul or maybe a minor design tweak that just makes the experience ineffably better: the “flash of genius” that does for traffic what the intermittent wiper did for windshields. And then you want to tell the world, or at least the taxi driver or pub companion who’s stuck listening to you, all about it. Here is your chance. Welcome to “Nimble Cities,” the second in Slate’s Hive series, a project designed to harvest the world’s collective wisdom to solve the world’s most pressing problems. We are asking you, essentially, to become transportation hackers (and we’re talking not simply cars but the whole of urban and interurban movement). We are looking for your best ideas. They may be your own wild brainstorms, or they may be examples, whether grand or mundane, of things you’ve experienced in your own city or while traveling. But we want your best proposals for solving an increasingly relevant problem: how to move the most people around and between cities in the most efficient, safe, and perhaps even pleasurable manner. And then we want you to vote on which of those submissions you think are best. Comments Off on Slate’s ‘Nimble Cities’ Hive Mind Project. Click here to leave a comment. I’ve got a roundup, in the new issue of Sierra magazine, of the transpo related things that have caught my eye lately. NB: I was limited to 1000 words, so there were many other books, blogs, films, etc. I would have mentioned, and probably already have here. Comments Off on Mixed Media: Transportation. Click here to leave a comment. The Onion takes a mordant look at household ‘accidents.’ It’s about snakes, but the parallels with driving are not hard to fathom. Comments Off on ‘Unpreventable Tragedies’. Click here to leave a comment. You see, it’s the interstates that generate the crashes, not the actions of drivers. It’s also questionable whether it makes sense to focus on interstate highways, which per mile driven rank among the safest of roads traveled. A further problem is the lack of any exposure data — “fatal accidents” per mile is a rather meaningless statistic when we don’t know how many people drove those miles. A bit further down: “Summertime, when America traditionally takes to the road, carries with it a more somber tradition—’the 100 deadliest days’ of the year for drivers.” It’s makes it sound as if there were something about the days themselves that were somehow dangerous, rather than the actions — e.g., the increased alcohol intake over the Fourth of July — that actually lie behind these fatalities. “AT&T is launching a free wi-fi network for its customers in New York City’s Times Square,” Business Insider explained last week. “This will take a load off AT&T’s battered 3G network, by pushing peoples’ email, web, and app traffic onto wi-fi and off of 3G. And it should speed up downloads for AT&T customers in the area.” I’m reminded of Charles Komanoff’s proposed transportation policy changes for New York City, in which bus rides would always be offered free of charge, “because the time saved when passengers aren’t fumbling for change more than makes up for the lost fare revenue.” In other words, both cases suggest that offering certain urban services for free, at moments of high-intensity usage, often makes much better financial sense than charging for everything, all the time. The flipside, of course, is that elsewhere, for the heaviest users (the so-called ‘data hogs’), AT&T is upping the pricing; and this too is the converse of Komanoff’s proposal — charging “road hogs” more for using the most network bandwidth at the most congested times. Comments Off on One Way to Eliminate the ‘Free Rider’ Problem. Click here to leave a comment.